got any good toy recommendations for my seven month old? 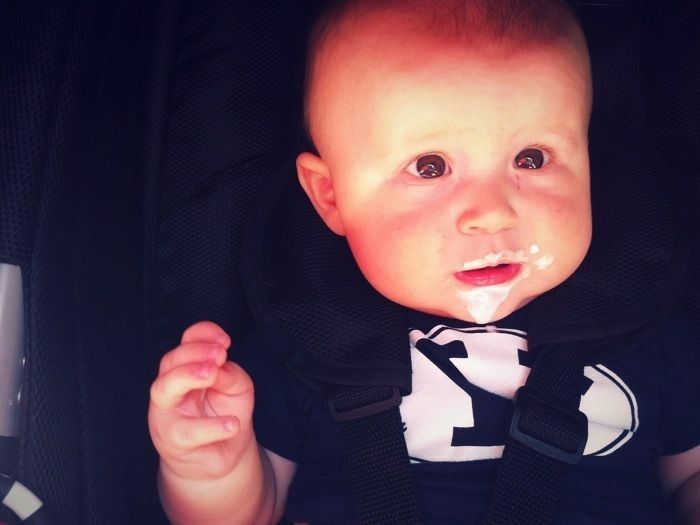 and no doubt not the last, welcome to dairy heaven huck! I just love the expressions on his face. Priceless. Oh, and nice shirt too, Huck! huck was overheated??? i say buy him ice cream every day this summer to cool him off. that, or the smarter ideas you proposed on babble. i kinda like the ice cream one, though. I thought babies aren't suppose to have milk until they are one? Very cute though!! so cute, love at first taste. 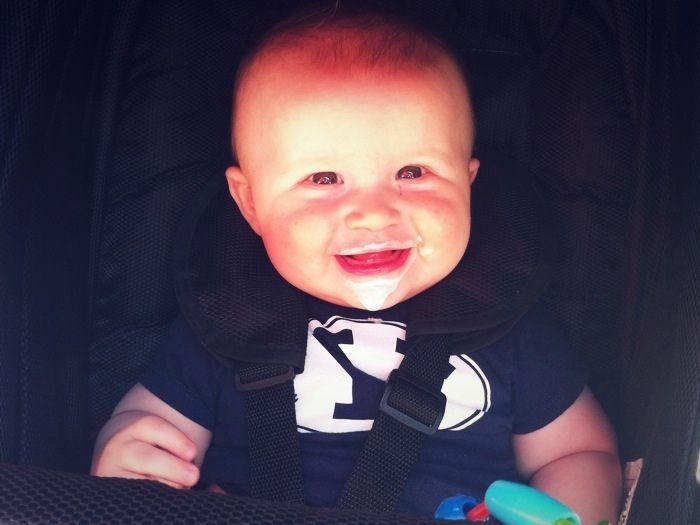 love the BYU shirt! i plan on bringing my babies home from the hospital in one. obsessive much? yes. Love the slightly perplexed "...zuh?" expression in the first snap, heh heh. Ice cream? Gooooood. Cutie patootie ice-cream slobbering bébé? Goooood. Overheating is scary. I'm glad Huck is okay. THE DISNEY STORE IN TIMES SQUARE . . .